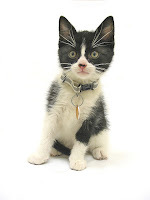 Ottawa Humane Society: Help the animals through the United Way! If you haven’t yet decided how to direct your annual United Way gift, please consider directing all or a portion of it to the over 11,000 animals the Ottawa Humane Society cares for every year. United Way gifts are used in critical areas like the in-house clinic where we perform more than 3,000 surgeries including life saving operations and spay and neuter procedures every year. You can join thousands of individuals from our community who choose to direct their United Way donation to the animals at the OHS. Simply fill in our organization name (Ottawa Humane Society) and our charitable number (123264715 RR0001) in the appropriate space on the United Way donation form. See the sample form on our website by clicking here. You can also help the Ottawa Humane Society by letting your colleagues know about the option to direct their United Way donations to the OHS. Visit our website to print a poster which can be posted in your lunch or break room! Even a small donation can help save the life of an animal who was neglected or abused. Help make the future bright for Ottawa’s animals!